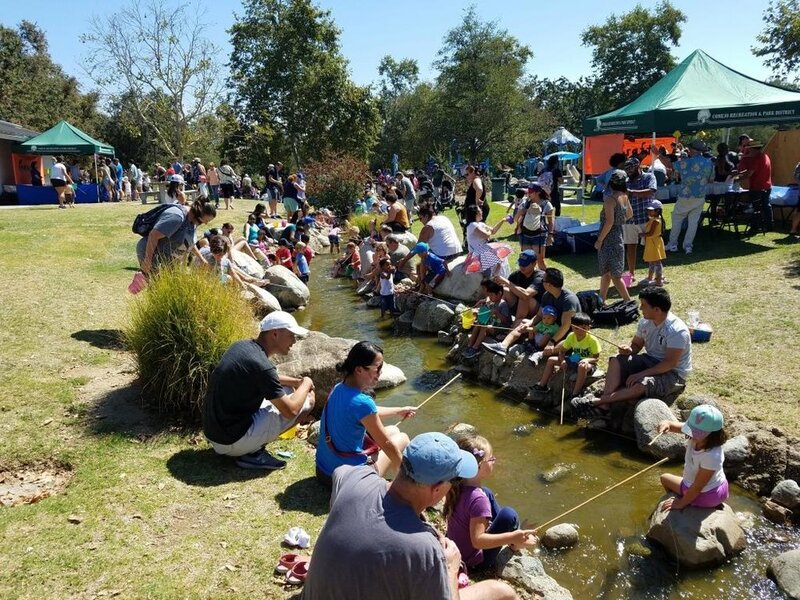 The Conejo Recreation and Park District is hosting its annual Fishing Frenzy event at Conejo Creek North Park, 1379 East Janss Road (behind Thousand Oaks Library) from 10 a.m. to 1 p.m. on Saturday, August 3, 2019. They will be releasing hundreds of magnetic fish into the creek and children will be given magnetic fishing poles to catch them! No bait required! Fish with a magnetic pole, do arts and crafts and explore Captain Carl's Mobile Tidepool. Per child fee is $5. Quite a fun little event!